Having a fertile egg does not mean that the embryo will survive the storage period or the incubation process. 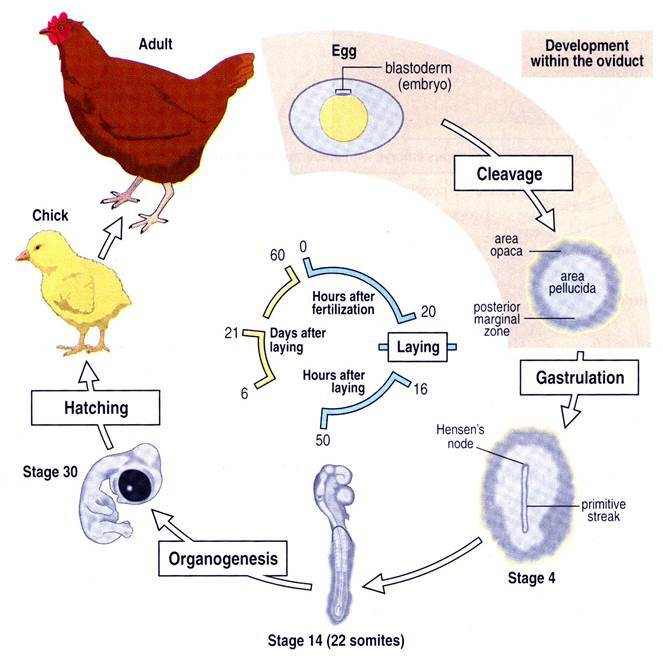 The "quality of fertilisation", the stage of development at oviposition and the environmental conditions inside and outside the egg are important factors. How does a mother hen provide her eggs with the best conditions for the best possible start of incubation? In theory, fertilisation takes place between 1 oocyte and 1 sperm cell. However, different sperm cells are needed to support further development of the embryo. Sperm cells fuse with the area pellucida, and form so called "sperm holes". In the picture this can be seen as small white dots. The more sperm holes, the more viable the embryo will be. The technique to colour and count sperm holes is easy, and can be used to assess rooster performance. 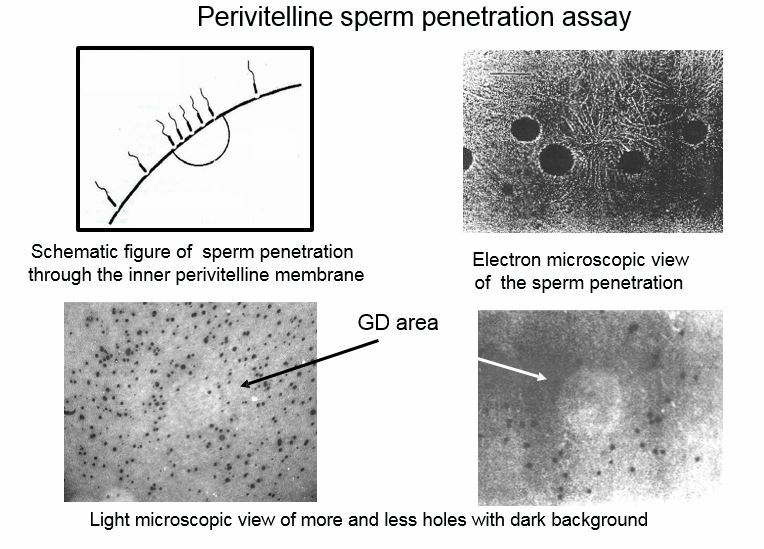 Keith Bramwell (1998) wrote a good paper about the sperm hole count technique that can be used in fresh hatching eggs. Also in incubated and candled eggs, it is possible to discriminate between true infertile and very early deads, using the propidium iodide staining technique, as described by Birkhead et al (2008). These techniques provide vital data for trouble shooting and directions of where to find solutions for fertility problems. Is it the male, the female, storage problems? Both? When an egg is laid, some embryos already exists of 40.000-60.000 cells (Stage X). This stage is the optimum stage for storage, since the embryo has the highest chances to survive storage. Some embryos however have far less cells and find themselves in a suboptimal stage of development to be able to survive storage. These embryos die first when eggs are stored for longer periods. In 2012 during an incubation meeting in Edmonton, Dr. Nick French explained the history of pre storage incubation of eggs to improve embryo viability. Extended egg storage results in a reduced hatchability, poor chick quality and reduced subsequent broiler performance. During long egg storage a whole series of changes occur within the egg which results in the deterioration in hatchability. The most noticeable changes are to the quality of the albumen which shows an increase in pH and as a consequence a change in the protein structure resulting in a loss of albumen viscosity, or thinning. The yolk also changes, with water passing by osmosis from the albumen into the yolk and the yolk membrane thinning and weakening. Sitting on top of the yolk membrane is the chick embryo which, when the egg is laid, already has around 60,000 cells due to the embryo development in the hen’s oviduct. As storage proceeds, the cells in the embryo start to die; a recent study by Dr Murray Bakst’s team at the USDA Laboratory in Beltsville, Maryland, USA has shown that up to 70% of the embryo cells die by day 17 of storage. Over the years a range of techniques have been tried with varying degrees of success to improve the hatch performance of long stored eggs. At the 2002 European Poultry Conference in Bremen, Germany, Professor Amos Ar from the University of Tel Aviv, Israel suggested that the embryo cell death during storage was a major reason for the poor hatchability of long stored eggs. He proposed that giving the eggs a short (< 6hours) period of incubation at regular intervals during long storage would allow the embryo to carry out repairs to the cells and reduce the rate of cell death. At the conference, Amos Ar presented data from two experiments that showed an improved hatch of eggs stored for 22 and 31 days when a single 4 hour period of incubation was given during the storage period. Other research being carried out at the University of Alberta, Canada, by Dr Gaylene Fasenko’s team showed that giving eggs a single short period (6 hours) of incubation before the start of egg storage improved the hatch of 14 day stored eggs compared to untreated controls. These researchers suggested that the improvement in hatch of long stored was obtained by advancing the stage of embryo development. 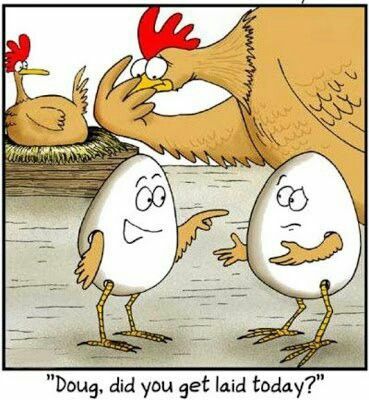 Eggs vary in their developmental stage when they are laid depending on how many hours the egg was in the oviduct prior to laying, but most of the eggs will be laid at a stage just before the formation of a structure called the hypoblast. Fasenko and her co-workers suggested that eggs are better able to withstand long egg storage if the formation of the hypoblast is complete but the embryo has not started to form another structure called the primitive streak. Other researchers have confirmed that applying a short period of incubation, typically 6 – 9 hours, to eggs on the day that they are laid improved hatchability of eggs stored for extended periods. Indeed, the practice has been implemented successfully in some commercial turkey and layer hatcheries. However, there are some practical difficulties incubating eggs on the day that they are laid. Most commercial broiler hatcheries transport eggs from the farm to the hatchery twice a week, so most eggs are between 1 and 4 days stored when they reach the hatchery. If eggs are to be incubated on the day they are laid, it would either require daily egg collection or installation of incubators on the farm. At the Poultry Research Institute "Het Spelderholt", between 2000 - 2003 several experiments showed the benefits of pre-storage incubation technique. 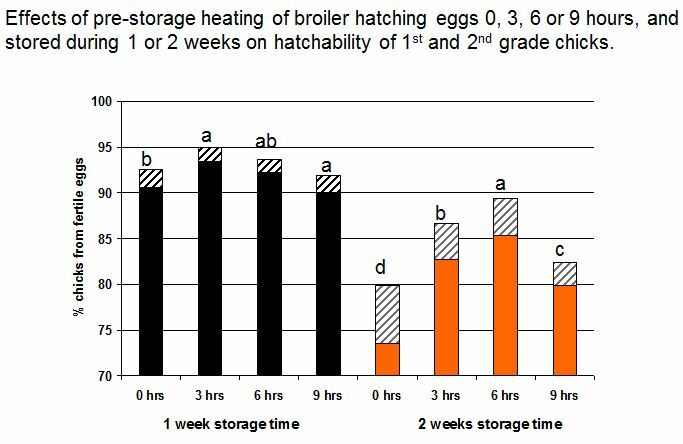 Eggs warmed at incubator temperature for 3-6 hrs at the day and stored for 2 weeks hatched better compared to the control group (stored for 1 week), see this paper . Other experiments in 2007 where an EMKA incubator was adjusted with extra heating and cooling capacity and installed at the commercial breeder farm of Leon Moonen, showed that not only hatchability was preserved in long stored eggs (10 days), but also broiler performance maintained at a similar high level as in the control group of eggs stored for only 3 days. 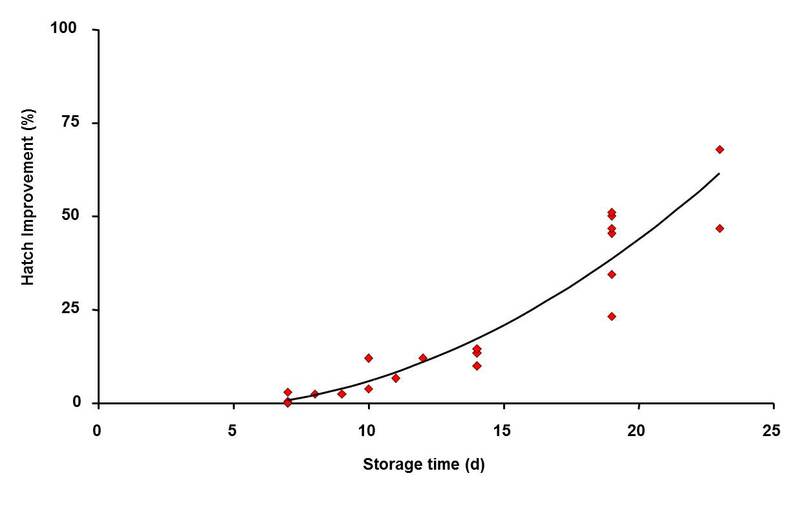 Because of potential difficulty of applying pre-storage incubation to broiler eggs, Aviagen has carried out a series of trials looking at the possible benefits of the technique of applying one or more short periods of incubation during egg storage (given the acronym SPIDES) to see if it can improve the hatchability of long stored eggs (see paper). The basic technique has been to take eggs held on a storage trolley directly from the egg store and place them into the corridor of an operating fixed rack multi-stage setter running at 99.5°F (37.5°C). The eggs were held in the setter for the required time (between 2 – 6 hours) before being moved back into the egg store operating at 63°F (17°C). The treatment would be applied to the eggs one or more times during the storage period. In most of the experiments the SPIDES treated eggs were compared to untreated eggs that had been stored for the same length of time and also eggs that had been stored for 3 days only. The series of experiments have investigated the effect of applying the SPIDES treatment at different frequencies during storage, for different time periods and for different storage times. Most of the experiments have used Ross 308 eggs, but trials with Ross 708 and various GP lines have all given similar results. In all but one experiment (where there was no difference) the SPIDES treated eggs hatched significantly better than the untreated controls. And guess what, presented as the newest innovation of 2014, Petersime launched the RE-STORE Biostreamer! What a great idea... Especially for integrated broiler meat companies!